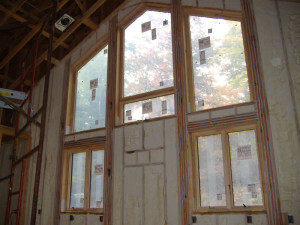 Kinzler was hired by Hammerback Remodeling to insulate a custom lake home North of Bemidji, MN. Kinzler insulated the walls with five and a half inches of open-cell spray foam. 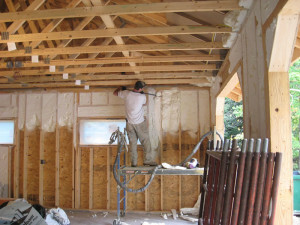 Kinzler installed a hybrid insulation system in the attic, starting with three inches of open cell spray foam, and covered it with R-40 of blown fiberglass insulation to achieve an R-50 assembly. This created a very efficient and quiet home for our customer.